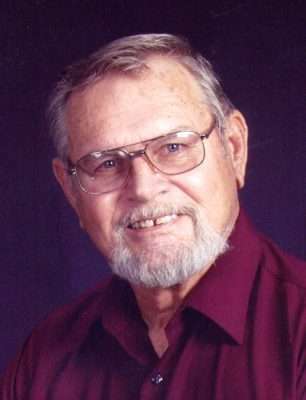 Theodore Franklin Cook, 84, USAF retired, passed from this life in Reno, Nevada Nov. 29, 2018 to reside with his savior Jesus, the Christ. He was born March 9, 1934 in Woodland, California. 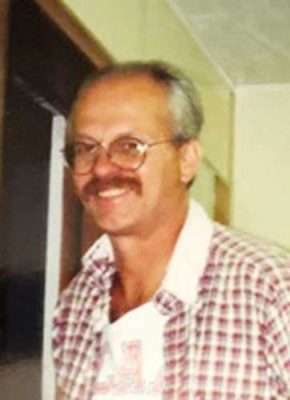 He is preceded in death by his parents, Adelia and Jack Cook, of Woodland; siblings, Viola Duge, of Corpis Christi, Texas, Clyde C. Cook, of Woodland, and Lee Roy Cook, of Davis, California. Ted retired to Eagle Lake Spalding Resort, California, in 1989. He was a longtime Commander of American Legion, Post 162, a lifetime member of Disabled American Veterans and the Spalding Neighborhood Watch. He loved family gatherings, sailing, cars, gardening and singing gospel music. Married 63 years, he is survived by his wife, Patricia; children, David and Joni Cook, Debra and Michael Vresh, Regina and Dennis Laniohan, Jacqueline and Michael Rasmussen; 11 grandchildren and eight great-grandchildren. Internment will be at the Sacramento Valley National Cemetery in Davis June 7, 2019. Walter Gregory Andrews, age 72, of Pahoa, Hawaii, passed away on Jan. 15. Born on March 8, 1946, to Annie Earl (Smith) Andrews and Carl Kenneth Andrews in Detroit, Michigan. The family soon moved to Southern California. Greg loved the ocean and enjoyed surfing. After high school, Greg worked at the Long Beach shipyard as a tool room manager. In 1966, his first daughter Kimberlie was born of his first marriage to Karen (Kitty) McCart. In 1974, Greg married Becky Brown and adopted Kelly, Becky’s daughter from her first marriage. They soon moved to the Northern California town of Susanville and had two more daughters, Zipporah and Rosemary. Greg was proud to have four daughters. Greg worked for the Jeld-Wen lumber mill where he was a dedicated employee. Greg had a unique sense of humor and could bring laughter into every situation. His favorite pastimes were fishing and bird hunting with his beloved dog, Tag. Greg’s other loves were music and reading. He loved to sing and play the harmonica and would burst into song anywhere he might be. His knowledge of song lyrics was extensive, and he often applied them to situations in life. He loved motorcycles and taught his daughters to ride. He liked science fiction and was a Star Trek fan from the beginning. Greg had an adventurous spirit and a love for the outdoors. He always carried a bag to pick up any litter he found in nature. His greatest joys in life were taking his family camping, hiking, and fishing. His favorite meal was a freshly caught trout cooked over a campfire. After a visit to the big island in 2006, Greg fell in love with the charm of Hawaii. In 2007, he moved to Pahoa to enjoy his retirement and built a small home in beautiful jungle with a peek of the ocean. His daughters would like to thank his cousin, Judy Fero-Tickeel, for her kindness and patience in caring for their Poppa during his illness, along with Bruce Tickeel for his friendship and care. They also thank Hawaii Care Choices Hospice, for their time and attention. His four daughters; eight grandsons; and one granddaughter survive Greg. Greg was a loving father and grandfather, and a good friend. We will miss you Poppa, but we know you are now enjoying your next adventure. Until we meet again, arrivederci, ciao, adiós, sayonara, aloha. Marjorie Lee Bottini passed away Feb. 13, 2019 at the Lassen Nursing and Rehabilitation Center in Susanville, California at the age of 97. She was born March 23, 1921 in Alva, Oklahoma. Her parents were Netti and William Kruse. Marge was one of four children; Alene Shurtz, Irene Householder, and Jack Kruz. Marge graduated from Alva High School and met her husband, Tony, in Alva where he worked at a prisoner of war camp. Marge and Secondo (Tony) Bottini were married in 1945 in Alva, Oklahoma and moved to Susanville, California. Susanville was her home for 74 years. Marge and Tony had two children; Richard and Daryl Bottini. Marge was very family oriented. Family was her pride and joy. She worked as a playground aid for the Susanville School District and was a long time member of the Veterans of Foreign Wars and American Legion Women’s Auxiliary. Marge’s mother and father as well as her three siblings preceded her in death. Her husband, Tony passed away in 1988; and their son, Daryl passed away in 2015. Marge is survived by her son, Richard Bottini; four grandsons, Aaron, Chris, Justin, and Jerrod; a great-grandson, Aiden Bottini; a great-granddaughter, Stephanie Thompson; two great-great-grandchildren, LillyAnna and Easton Thompson; and numerous nieces and nephews. Graveside services will be held at Diamond Crest Cemetery at 2 p.m. Saturday, March 2, 2019.